‘Safety Sunday @ TRB’ event attracted more than 100 attendees. 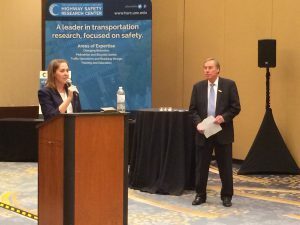 The Collaborative Sciences Center for Road Safety and the Southeastern Transportation Center co-hosted an inaugural Safe Systems-themed networking reception on Sunday, January 7, 2018, in conjunction with the TRB Annual Meeting in Washington DC. Dr. Laura Sandt, CSCRS Director, welcomes ‘Safety Sunday @ TRB’ attendees. Drs. Laura Sandt, Director, and Stephen H. Richards, Southeastern Transportation Center Director, welcomed attendees and issued a charge to not only consider the conversation topics at hand but also to envision new, multidisciplinary research collaboration opportunities for a systems approach to transportation safety in the US. 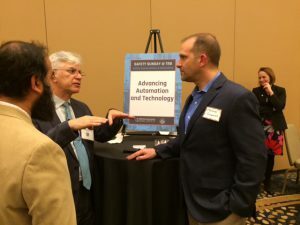 CSCRS Associate Directors Asad Khattak and Michael Clamann deep in discussion about automated technology. 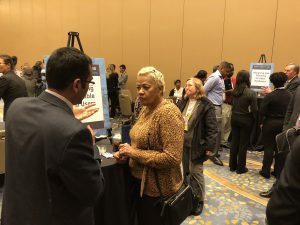 Attendees had the chance to make connections with several USDOT UTCs, like the Center for Advanced Transportation Mobility. 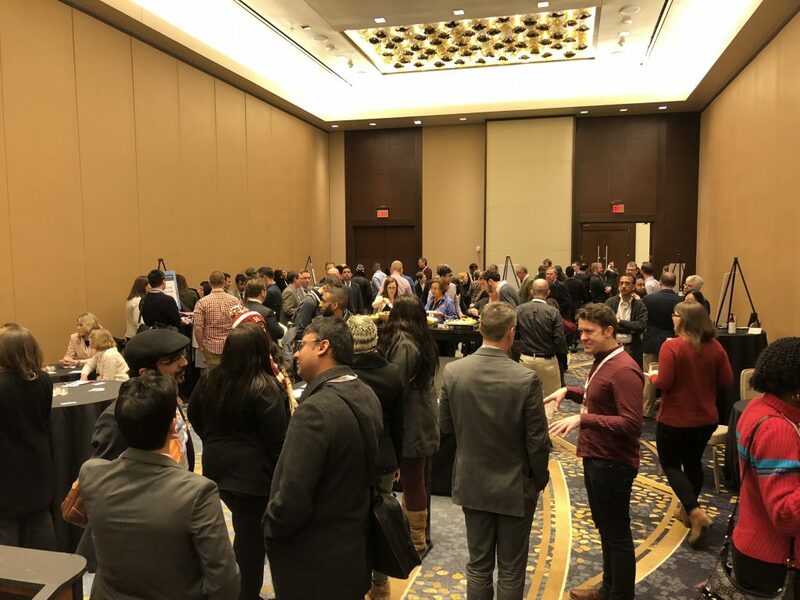 CSCRS is exploring hosting another networking event at the 2019 TRB Annual Meeting. This event was supported in part by the Collaborative Sciences Center for Road Safety, www.roadsafety.unc.edu, a U.S. Department of Transportation National University Transportation Center promoting safety.